HairFinity is a very popular hair vitamin, which according to the testimonies of many, works great at increasing your hair growth rate. The makers of HairFinity state that these vitamins can increase your hair growth rate by 200%. These vitamins come in a capsules, which is great because that makes for better absorption into your system. You get 60 capsules and are told to take 2 per day. The 60 capsules, one month supply will cost you $24.00 plus shipping and handling. The more bottles you purchase the more discount you receive off of each bottle. I have heard very good reviews on this product, even one lady had her mom take it for thinning hair and eyebrows, after a bout with cancer and to their surprise her eyebrows grew back for the first time in years, after taking HairFinity vitamins. If you search youtube you will find video after video testifying to how good this hair vitamin is and it has an average 4 star rating on amazon.com. Of course not all will agree, but when you look at the majority of ratings on this product, you see that people rave about how great this product performs and how it has changed their life. When your order from their website you get a discount if you purchase more than one months supply at a time, this is a good deal because whenever you take any type of supplement, you receive more benefits when you take it for 6 months, at least. Remember when you start any type of new hair regimen or new product, always keep a journal to chart your success! Liquid Gold hair vitamins, beauty-vites, are very similar to the HairFinity vitamins, but the milligrams of some of the vitamins vary. Beauty Vites are a healthy skin and nail vitamin and mineral supplement. You get a one month supply in capsule form, for the fantastic price of 14.95. You take 2 capsules per day and each bottle has 60 capsules. These have been getting great reviews, however not as many as for the HairFinity. The price point is definitely something to rave about, especially if you are on a budget. You can get a 3 months supply of Beauty-Vites for the price of a two months supply of HairFinity. Now that is impressive! This vitamin would be great for college students or anyone on a budget who needs that extra boost to get their hair to grow better. You can get a 1/2 a years supply for less than $90, now that is impressive! INTERESTED IN JOINING THE COILY QUEENS LIQUID GOLD CHALLENGE? Sign up on Facebook and you will receive a coupon code for 15% off of your total purchase of any liquid gold product. Click here to join the Facebook challenge and get your discount code for the Beauty Vites. The HairFinity hair vitamins have 8150IU of vitamin A in their product, but the Liquid Gold-Beauty Vites has 5000IU of vitamin A in it. The Liquid Gold Beauty-Vites have 3200 mcg of biotin and HF has 2500 mcg of biotin in their product. 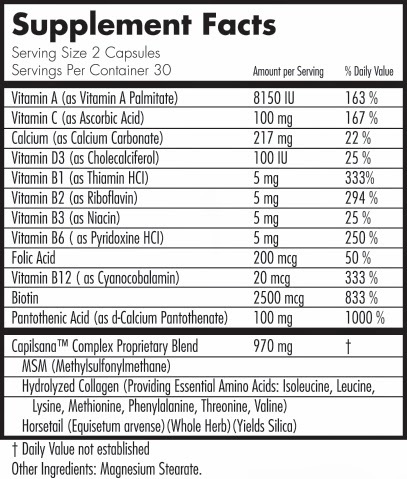 The Beauty Vites have more vitamin D but HF has more vitamin C in their supplement. Both vitamins have more than the recommended daily allowance of vitamin C and D. Both vitamins have horsetail and MSM which are both great for hair growth. 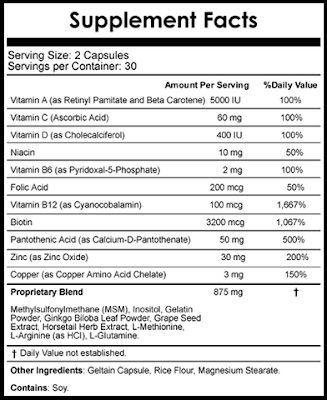 HairFinity does have slightly more of the MSM and horsetail in its vitamin. So there you have the minor differences in the milligram contents, of these two awesome products. To much vitamin A can be counterproductive and lead to hair loss and to much biotin creates breakouts in some people. I recommend starting with the HairFinity supplements on a 3 months supply then do 3 months of the Beauty Vites. Switching it up will give your system a break from the vitamin A. A good investment would be a 6 months supply of HairFinity and a 6 months supply of Beauty Vites. Start with the HF and take for 3 months then switch to the Beauty Vites for the next 3 months then do the rotation again. Both of these supplements have good absorption, when taken properly. To find out how to make your vitamin supplements work more effective for you read here. So which of these products have you tried? Do you plan to try either of these hair supplements? Subscribe to this blog for picture updates on my hair growth journey and up coming hair challenges. I'm in month 4 of Hairfinity and it's doing nothing for me. My hair is still growing at it's normal rate of growth 1/4 inch a month. I'd definitely be interested in trying the Liquid Gold. However, I purchased the Nature's Bounty Skin, Hair and Nail supps so I'm going to try those first. Did you take them with food? Read my article on how to make your hair vitamins work better for you, this may help. Blessings to you and thank you for reading my article.